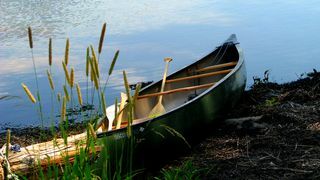 Think of yourself sitting in a canoe in a swift flowing river. You’re paddling desperately with the intention of making it 100 yards upstream. To get there, you’ll need to focus on the task, apply some paddling skill, and consistently exert yourself. Because you’ll be fighting against the current, you’ll experience some frustration and probably arrive out of breath and needing to rest. In a figurative sense, this is how most people feel when they go to an interview. The fast-flowing current is called “cognitive strain,” and it’s a silent factor that works against you in every interview. A few weeks ago, I introduced you to Daniel Kahneman, a Nobel Prize winning psychologist who recently published his best selling manifesto called Thinking, Fast and Slow. If you didn’t catch the previous discussions on this topic, I’d recommend reading the first blog in this series. It will give you some background for today’s WorkPuzzle. In his book, Kahneman introduces his readers to the concept of “cognitive ease.” In simple terms, it is the natural desire a person has to make decisions and judgments using “System 1” thinking. As you may remember, System 1 is the fast, intuitive, and automatic way of making decisions and judgments. System 2 is the slower way of thinking that requires more conscious judgments and critical analysis. Is anything new going on? Is there a threat? Are things going well? Should my attention be redirected? Is more effort needed for this task? You can think of a cockpit, with a set of dials that indicate the current values of each of these essential variables. The assessments are carried out automatically by System 1 and one of their functions is to determine whether extra effort is required from System 2. Easy is a sign that things are going well—no threats, no major news, no need to redirect attention or mobilize effort. Strained indicates that a problem exists, which will require increased mobilization of System 2. When you are in a state of cognitive ease, you are probably in a good mood, like what you see, believe what you hear, trust your intuitions, and feel that the current situation is comfortably familiar. With these definitions as a background, would you rather have someone be experiencing “cognitive ease” or “cognitive strain” during an interview? Obviously, you’d want the person to be experiencing cognitive ease. If candidates are suspicious, uncomfortable, and lacking the creativity to imagine themselves in a new career, your interviews are not going to come to life. It's very difficult to build a relationship with individuals who remain in this state. Here’s something you may not have considered: Every candidate you interview (especially if the person is a “new to real estate” candidate) is experiencing cognitive strain when they arrive at your office. There are very few exceptions to this rule. Interviews are stressful. Being in a new environment, meeting new people, receiving a bunch of new information, and having the perception you’re being evaluated puts people squarely in System 2 thinking. One of the secrets of successful interviewing is helping a person migrate from a state of cognitive strain to a place of cognitive ease during the 45 minutes you spend with the candidate. If the candidate remains in a state of cognitive strain (and most people do), the person will not have the ability to truly hear and engage most of what you’re trying to communicate. How do you do this? Daniel Kahneman has some great insight on this topic based on the research that he and others of have done. It’s fascinating stuff, and we’ll cover it during our next WorkPuzzle discussion.